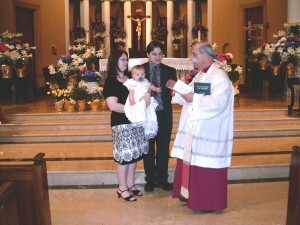 Baptism is celebrated on the first Sunday of each month at 11:30 AM or by special appointment. 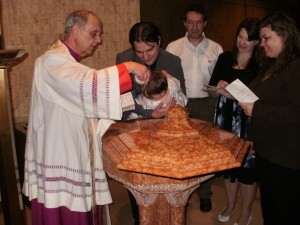 Parents are required to attend a pre-Baptism preparation session, scheduled bimonthly at the parish. Please call the rectory office (330) 453-2526 for available class dates. God-Parents are welcome and encouraged to attend these sessions. Arrangements for the Baptism date must be made through the office.